On the 27th of October 1906, the Japanese Butoh dancer Kazuo Ohno was born in Hakodate, Japan. A hundred years later (only four years before his death! 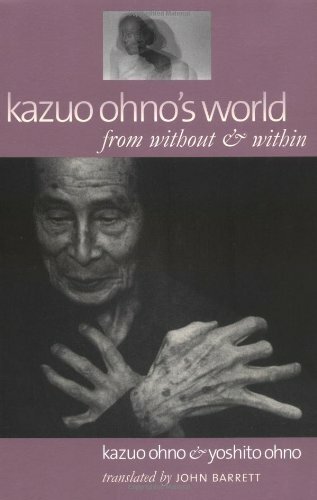 ), unable to walk or stand any more, Ohno continued to ‘dance’ with his hands, thus summarising the essence of Butoh as the dance from ‘within’. He started dancing before World War II, but it is in the post-war period that his dancing career really flourished. The inspiration came from the new dance philosophy, conceptualised by Tatsumi Hijikata – the principal founder of Butoh. Butoh means ‘dance step’ and ‘ancient dance’. It grew in opposition to both – modern Western dance, growing on popularity in post-war Japan, and to Nah – a traditional form of dance performed in Japan since the 14th century. Butoh was a direct reaction to European modernism and an attempt of revitalisation of the Japanese art scene. But as much as trying to escape European influences, Butoh inevitably drew from the elements of German expressionism, represented by Mary Wigman, or German romanticism, characteristic for theatrical productions by Max Reinhardt or films by Friedrich Murnau and Frietz Lang. It promotes similar use of light, similar dramatic gesture and similar aura of the surreal. With its intense physicality, haunting theatricality and a ghost-like appearance of the dancer’s body, it often evokes feelings of repulse and an uncomfortable fear. However, ‘ugliness’ of Butoh is aimed to provoke inner catharsis rather than a bare feeling of shock. “Some forms of dance purify movement through geometry and bodily sublimation, as in classical ballet and its continuing influence in contemporary dance techniques. Butoh, however, does not purify and sublimate; it is muddy and often ugly, but it seems to understand that ugliness wakes up beauty.” (Sondra Fraleigh, Butoh: Metamorphic Dance and Global Alchemy ). The first ever performance of Butoh, Kinjiki (Forbidden Colours), took place on the 24th of May 1959. It was based on a novel of the same name by Yukio Mishima, describing a story of a marriage of a gay man with a young woman. “The performance revolved around a dance between “two males, a young boy and an older man, [in which] the climax came when a live chicken was strangled to death over the boy’s prone body”. 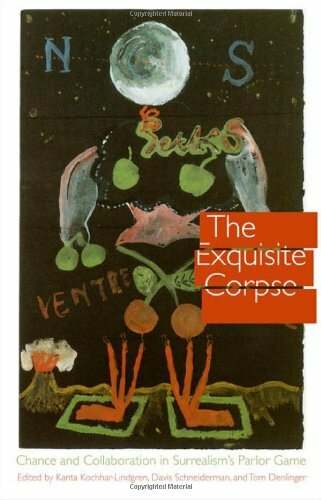 In this exploration of animal body next to the human body – where one merges into the other as a simulation of the sexual act – homoeroticism, violence and transgression are linked.” (K. Kochhar-Lindgren, D. Schneiderman, T. Denlinger, The Exquisite Corpse: Chance and Collaboration in Surrealism’s Parlor Game ). Hijikita played the role of the older man, whilst the role of the young boy chased off the stage with a chicken between his legs, was played by Kazuo Ohno’s son, Yoshito Ohno. Throughout the 1960s Kazuo Ohno collaborated with Hijikata, but successively kept exploring the ‘voice’ of his own body and searched for his own ways of expressing it. In the 1970s he started performing solo in, what he called, ‘free style’. It characterised with combination of two contrasting traits: the masculine one represented by stiffness, and the feminine one represented by softness. Kazuo’s ‘free style’ won him many followers. In 1961 Ohno opened the Kamihoshikawa studio in Hodogaya, Yokohama (later transformed intothe Kazuo Ohno’s Dance Studio), where he rehearsed his choreography. Kaz uo Ohno’s Dance philosophy was very simple. His idea was to let the body reveal its inner story: “Your dance must emotionally engage us: remember, your performance has to nourish both the dead and the living. Language springs forth spontaneously when we’re deeply touched. Our emotions come to life when we eat of ourselves. But should we really devour so much delicious food? Keep on eating of yourself copiously, for you yourself are the fountainhead of your emotions and the pleasure you take in life. We’ve got to sense your passionate affair with life unfold. In asking you to dance free style, I’m not merely telling you to use your body as an expressive instrument. Forget everything you’ve ever practiced here. It doesn’t matter in the slightest if you just stood there stock-still.” (Kazuo Ohno, Kazuo Ohno’s World: From Without and Within ). Approaching the end of his life, Ohno began to perceive dance as an almost organic function of the body. Probably that is what kept him alive for so long. Once deprived of the ability to dance, he died shortly afterwards. For Kazuo Ohno dance was like air, like nature, like the whole Universe, of which he was merely a small particle. Kazuo Ohno is great dancer in the[BUTOH]of the world.